DAVID LE/Staff photo. 2/19/15. 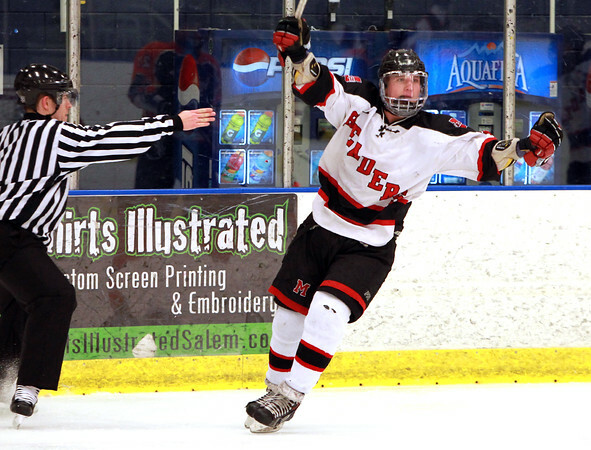 Marblehead sophomore winger Braden Haley celebrates as the referee points to indicate a goal.